Dolapo Orisajobi is an actress who started off as a model. 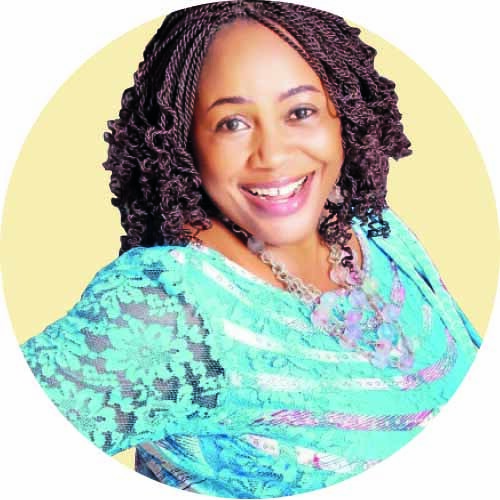 Now based in Abeokuta, Ogun State, the mother of two shared her firsts with Sunday Sun. It was titled Dust to Dust and Opa Williams produced it. That was in 1996/97. I had no stage fright, because I was modeling before I started acting, so I was used to the cameras. I was about 26 years of age and played Francis Duru’s mother. I played the role well and here we are today. I started with an English movie quite all right but after a while, I got married and went on sabbatical. The movie is titled Abuke Oshin and released in 2007. It gave me big jitters, because I didn’t act for about 10 years hitherto and it was a traditional Yoruba movie. I wasn’t as fluent in Yoruba as I am now. Colleagues usually think when you are coming from the English genre, you are superior, and so they tend to give you an attitude. But I’m grateful to God that I was able to surmount that. In that movie I played Yinka Quadri’s wife. That resulted from the role I played in my first English film. I remember under Ojuelegba bridge, I was going home from another set and some market women saw me and asked “How can you do that to your husband?” Emma Edokpae was my husband in that movie. He was going through some hard times and I had to go sleep with my landlord because he was always harassing me in that movie. Women at Ojuelegba jeered at me and said “How could you, you are a harlot.” I had a tough time convincing them it was not real but a movie. Being a newly married young woman during my first pregnancy, I was thinking of so many things like what if the baby is a monster? Almost every pregnant woman nurse such fears because this is something you cannot control. I wondered what if the baby’s fingers are not up to10 or she has extra eyes? I was thinking so much but I thank God my baby came out healthy. Well, I had my first child through caesarian section and I wouldn’t say I experienced labour. She is now a student at the University of Lagos. It was about N15, 000 and it was big money then. In Yoruba movies, you belong to a caucus as a starter and you have an oga. While you are with the oga, they hardly pay you and getting paid for the first time was quite interesting. In the English movie sector, I was already earning far more than N15, 000. I bought some clothes with the money, because I had another job coming the following week. In this industry, you just try to look your best. Though I’m not the fashion loving type, they usually don’t provide costumes for us, so you have to try to get your own things. I bought some few clothes and jewelry with my first salary. It was a bit embarrassing but I will say it. I was at the bus stop on my first day in Pittsburg in the US with my friend. As soon as the bus came, I started rushing to go in, the way we do in Lagos. People at the bus stop moved back, all looking at me. I was so embarrassed. I sat quietly in the bus, because of the scene I caused.